Baltimore/Washington International Thurgood Marshall Airport (IATA: BWI, ICAO: KBWI, FAA LID: BWI) is an international airport located in Linthicum in northern unincorporated Anne Arundel County, Maryland. 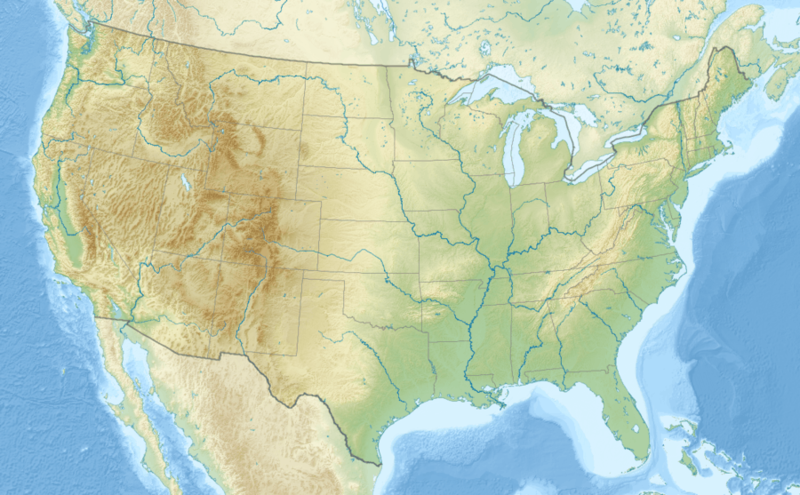 The airport is 9 miles (14 km) south of downtown Baltimore and 32 miles (51 km) northeast of Washington, D.C. It is the busiest, by passenger count, of three major airports serving the Baltimore–Washington Metropolitan Area in the United States, the other two being Ronald Reagan Washington National Airport and Washington Dulles International Airport. It is commonly referred to as BWI or BWI Marshall. The airport is named after Thurgood Marshall, a Baltimore native who was the first African American to serve on the Supreme Court of the United States. BWI is a focus city for Southwest Airlines, and is the second largest airport by number of departures for that airline after Chicago–Midway. With a 71% market share in 2014, BWI is also a fortress hub for Southwest. A record 23.8 million passengers traveled through BWI in 2015, an increase of 6.8% over the previous year. BWI was the 23rd busiest airport in North America and the 75th busiest airport in the world in 2014 by number of passengers. 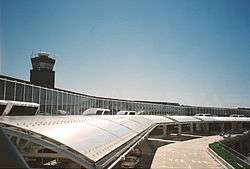 In 2010 BWI was ranked as the best airport of its size (15–25 mil. passengers) in the world by the Airports Council International based on its 2009 Airport Service Quality survey. The airport also won second place for North American airports in the "Best Food and Beverage Program" of the 2010 Richard A. Griesbach Excellence in Airport Concessions Contest, sponsored by the Airports Council International. 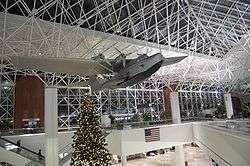 Friendship International Airport was dedicated on June 24, 1950, by President Harry Truman. At the time, it had the only commercial jet service in the Baltimore–Washington metropolitan area. Truman arrived in the Independence from Washington National carrying Governor William Preston Lane, Jr. and Baltimore Mayor Thomas D'Alesandro, Jr. on his first aircraft flight. 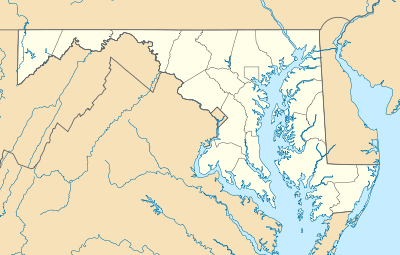 The following month the airlines moved to the new airport from Baltimore Municipal Airport (southeast of Baltimore at 39°15′N 76°32′W﻿ / ﻿39.25°N 76.53°W﻿ / 39.25; -76.53). The State of Maryland, through the Maryland Department of Transportation, purchased Friendship International Airport from the City of Baltimore for $36 million in 1972. Under MDOT, the Maryland State Aviation Administration took over airfield operations and grew from three employees to more than 200. Plans to upgrade, improve, and modernize all Maryland airport facilities were announced almost immediately by the Secretary of Transportation, Harry Hughes. The passenger terminal renovation program was complete in 1979, the most dramatic work of the airport's modernization, which was designed by DMJM along with Peterson & Brickbauer. The BWI terminal more than doubled in size to 14.58 acres (5.90 ha); the number of gate positions increased from 20 to 27. The total cost was $70 million. To continue the work, the BWI Development Council was established to support initiatives for airport development. The BWI Rail Station opened in 1980, providing a rail connection to passengers on the busy Northeast Corridor through Amtrak. BWI was the first airport in the U.S. with a dedicated intercity rail station. In particular, the station provided relatively easy transit access to Washington, D.C., something that Dulles will not have until 2018 at the earliest. 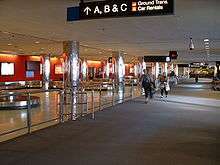 In 1997 a new international terminal (Concourse E), designed by STV Group and William Nicholas Bodouva & Associates, was added, though Dulles continues to hold the lion's share of the region's international flights, and BWI has not attracted many long-haul international carriers. British Airways has had a presence at BWI for many years. AerLingus, Air Jamaica, Air Aruba, Air Greenland, El Al, Ghana Airways, Icelandair, KLM, Ladeco, and Mexicana previously flew to BWI. Military flights, operated by the U.S. Air Force's Air Mobility Command, continue to have a significant presence at BWI. In the first half of the 1990s, runway 15L/33R was extended 1,800 feet from 3,199 feet (550 m from 975 m) to its current length of 5,000 ft (1,500 m), allowing it to be used for smaller passenger jets like the Boeing 737. Beginning in the 1980s and later for much of the 1990s, BWI was a major hub for Piedmont Airlines and successor US Airways, but that airline's financial difficulties in the wake of the dot-com bust, the September 11 attacks, and intense low fare competition forced it to reduce its presence at the airport. The airport has been a major haven for low-cost flights in the Baltimore/Washington Metropolitan Area since Southwest Airlines' arrival in September 1993 and subsequent expansion in the early 2000s. Southwest is the airport's largest carrier, accounting for 56.12% of passengers carried in 2011. Southwest Airlines currently serves on average 245 daily departures to destinations in the US, Mexico and the Caribbean. To accommodate Southwest's extensive presence at the airport, in 2005 Concourses A and B were expanded, renovated, and integrated with one another to house all of that airline's operations there. This new facility, designed by URS Corporation, opened on May 22, 2005. On October 1 of that year, the airport was renamed again, to Baltimore-Washington International Thurgood Marshall Airport, to honor the former US Supreme Court justice, who grew up in Baltimore. On Aug 5, 2014, little-used runway 04-22 was permanently closed. It was only 6,000 feet long and used primarily when the main runways needed to be closed for repairs. The last operation on the runway was a Southwest Airlines flight from Chicago Midway that arrived at 4:18 AM. Baltimore/Washington International Thurgood Marshall Airport has five concourses, though Concourses A and B were essentially merged into a single concourse in the renovations completed in 2005. The Maryland Aviation Administration has its headquarters on the third floor of the terminal building. Concourses A and B have 25 gates: A1 to A11 and B2 to B15. Southwest Airlines is the only tenant of concourses A and B.
Concourse C has 14 gates: C1 to C14. The tenants of the concourse are Alaska Airlines, American Airlines and Southwest Airlines. Concourse C is connected to Concourses A/B by a secure connector. Concourse D has 38 gates: D1 to D5, D7, D8, D10 to D16, D21 to D42, D46, and D47. It serves Air Canada Express, Allegiant Air, Delta Air Lines, JetBlue, Spirit Airlines and United Airlines. The far end of Concourse D is built at ground level to serve small regional planes. Gates D30-D35 and D38-D47 are blocked off to passengers with a temporary wall. Concourse E has 5 gates: E1, E3, E4, E6, and E8. Officially known as the Governor William Donald Schaefer International Terminal, it serves British Airways, Condor, Norwegian Air Shuttle, Southwest Airlines (international arrivals that are not pre-cleared) and WOW Air. All international arrivals from non-pre-cleared destinations and all charter airlines are handled at Concourse E. The Air Mobility Command has a post in Concourse E flying active service troops out to worldwide destinations. The USO operates a lounge on the lower level of the Terminal between Concourses D and E for United States military personnel and their families. Airspace Lounge opened on May 7, 2011. Currently improvements are being made to widen concourse C. Concourse C will be given the level of amenities found at the A and B concourses in approximately 8,500 square feet (790 m2; 0.20 acres) of new food and retail space. On April 30, 2013, the airport opened the new concourse C security checkpoint, with nine security lanes, the most at the airport, as well as a new concourse A/B-C connector. The Federal Aviation Administration is currently in the process of designing a new air traffic control tower that will replace the current tower. The new tower is estimated to cost between $21 million and $26 million and be 228 ft (69 m) tall. There is no estimated start date. On July 12, 2013, BWI Airport and the Maryland Aviation Administration launched a 3-year, $125-million construction project. This project will include modernizing concourse D, a new airside connection linking concourse D and E, and the new configuration of the concourses will allow 2 gates on concourse D to serve both domestic and international flights. The project is scheduled to begin in late 2014, with an estimated completion date of fall 2016. With winds from the north or west, aircraft will generally land on runway 33L and depart on runway 28. When the winds are from the south or east, arrivals are on runway 10 and departures are on runway 15R. Use of the smaller parallel runway (33R/15L) is restricted to smaller propeller-driven aircraft and small corporate jets. The largest planes that land at BWI regularly are Boeing 757s, McDonnell Douglas MD-11s, and Boeing 767s. Because of the many cargo and charter operations at BWI, it is common to see one or two Boeing 747s or Airbus A330s on a daily basis as well. 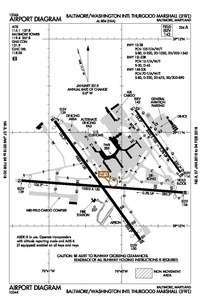 Runway 10/28 was closed for a 60-day period that began on August 20, 2012 to update and implement safety requirements for Runway Safety Areas established by the Federal Aviation Administration. For the 12-month period ending December 31, 2011, the airport had 276,133 aircraft operations, an average of 757 per day: 93% air carrier, 6% general aviation and less than 1% military operations. In 2009, there were 75 aircraft based at the airport: 45 single engine, 19 multi-engine, and 11 jets. BWI is currently the busiest airport within the Baltimore–Washington area with 11,067,317 boardings in 2011. This is ahead of Dulles International Airport at 11,043,829 enplanements and in front of Ronald Reagan National Airport with 9,053,004 enplanements. BWI serves the most domestic passengers in the Baltimore–Washington area while Dulles serves more international passengers. On August 1, 2016, British Airways replaced the daily Boeing 767-300 with a daily Boeing 787, marking the first regularly-scheduled Dreamliner service to the airport. Bus service between BWI and the Greenbelt station of the Washington Metro and MARC Camden Line is provided by WMATA's Metrobus on Route B30 every 40 minutes from 6am-11pm on weekdays and 8:30am–10:30pm on weekends. The regular fare is $7.00 and the disabled/senior citizens rate is $3.50. The RTA 501/Silver Route operates between BWI and The Mall in Columbia hourly at most times except overnight. In June 2007, the Maryland Department of Transportation, at the request of the Maryland General Assembly in 2006, commissioned a report on a proposal to extend the Washington Metro Green Line, from its current terminus at Greenbelt, through Howard County to BWI. ↑ "BWI Airport December 2015 Statistics" (PDF). BWI Airport. Retrieved 10 February 2016. ↑ "Linthicum CDP, Maryland". U.S. Census Bureau. Retrieved March 3, 2010. ↑ "KBWI Baltimore/Washington International Thurgood Marshall Airport Baltimore, Maryland, USA". AirNav. Retrieved October 28, 2016. ↑ "City Facts" (PDF). SWA Media. Retrieved 10 February 2016. ↑ Monthly Statistical Report Summary Retrieved on March 5, 2015. ↑ "Governor Hogan Announces Record Year for BWI Marshall Airport". BWI Airport. Retrieved 4 February 2016. ↑ "Airport Traffic Reports". Airports Council International. Retrieved 4 February 2016. ↑ "Survey: BWI ranked top airport of its size in world". The Baltimore Sun. February 18, 2010. Archived from the original on June 29, 2011. Retrieved June 8, 2011. ↑ "500 Acres Acquired For Baltimore Airport". The Washington Post. June 27, 1946. p. 3. ↑ "BWI History at a Glance" BWI Airport Timeline: 1784–1947, retrieved December 27, 2011. ↑ Friendship Methodist Church closed after holding its last service on Easter Sunday in 1948. It was razed to make room for the new airport. Lee, Consella A. (February 16, 1996). "Work crews unearth potter's field at BWI". The Baltimore Sun. 1 2 "New Name for Airport". The Washington Post. October 2, 1973. p. A7. ↑ "Cooperation Built Airport, Truman Says: President Dedicates Baltimore Project; Praises Aid Programs Truman Lauds Cooperation". The Washington Post. 25 June 1950. ↑ John Mintz (8 August 1984). "Friendship International Airport from the City of Baltimore for $36 million in 1972". The Washington Post. ↑ "Projects: BWI Airport". Charles Brickbauer, Architect. Retrieved October 25, 2012. ↑ Gunts, Edward (June 16, 1992). "Designer Chosen for $100 Million BWI Expansion STV Group, Partner Would Design Larger International Wing". The Baltimore Sun. Retrieved June 12, 2012. ↑ Transportation Research Board (2012). Addressing Uncertainty about Future Airport Activity Levels in Airport Decision Making (PDF). National Academy of Sciences. p. 90. ISBN 978-0-309-25857-9. ↑ 2008 North American Final Rankings Archived February 8, 2008, at the Wayback Machine.. Airports Council International, retrieved February 17, 2010. ↑ Formichelli, Linda. "Magazine picks America's healthiest airports." CNN. Wednesday December 17, 2008. Retrieved on October 21, 2009. ↑ Walker, Andrea K. "BWI gains altitude." The Baltimore Sun. October 21, 2009. Retrieved on October 21, 2009. ↑ Elaine Reyes (February 19, 2010). "BWI Airport Ranks High in Customer Service". NBC Washington. Retrieved December 15, 2011. ↑ "Maryland Aviation Administration Contacts." Maryland Aviation Administration. Retrieved on March 2, 2010. ↑ Mutzabaugh, Ben (March 15, 2011). "Company promises cheap airport lounge access for all". USA Today. Retrieved June 8, 2011. ↑ Thomson, Candy. (April 30, 2013) First phase of 0 million BWI upgrade opens to passengers. Baltimoresun.com. Retrieved on August 16, 2013. 1 2 Thomson, Candy (July 12, 2013). "State officials push for $125 million BWI expansion project". baltimoresun.com. Retrieved August 16, 2013. ↑ "Alaska Airlines adds San Diego – Baltimore/Washington service from March 2017". routesonline. Retrieved 16 November 2016. ↑ Dean, Johnathan (16 August 2012). "Temporary Closure of Runway 10–28 Scheduled at BWI Marshall Airport". BWI Airport. Retrieved 11 June 2014. ↑ FAA Airport Master Record for BWI (Form 5010 PDF). Retrieved October 12, 2010. ↑ "Calendar Year 2011 Primary Airports" (PDF). Passenger Boarding (Enplanement) and All-Cargo Data for U.S. Airports. Federal Aviation Administration. September 27, 2012. Retrieved October 25, 2012. ↑ "Baltimore is latest U.S. city to land regular Boeing Dreamliner flights". USA TODAY. Retrieved 2015-11-12. ↑ "Statistics". Maryland Aviation Administration. 2014. Archived from the original on June 9, 2011. Retrieved February 10, 2016. ↑ Total cargo (Freight, Express, & Mail). ↑ BWI listed in Top 10 of "easiest airports to get to" by Aviation.com BWI press release: August 15, 2007. Retrieved November 17, 2009. ↑ MARC Penn Line rail schedule. 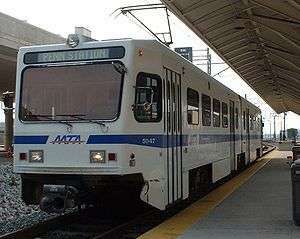 MTA Maryland. Retrieved December 15, 2011. ↑ "MTA Light Rail schedules and map" (PDF). MTA Maryland. June 14, 2009. Retrieved December 15, 2011. ↑ "A Report to the Maryland General Assembly Senate Budget and Taxation Committee and House Appropriations Committee regarding Green Line Feasibility Study" (PDF). 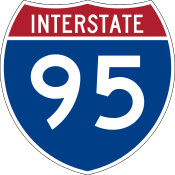 Maryland Department of Transportation. June 2007. Retrieved June 7, 2012.